Establishment in the year 1999, Leader Paints Marketing India, is renowned organization involved in marketing and distributing Thermal Insulation, Waterproof & Elastomeric Type of Coatings, Paints and Emulsions. These include fire retardant paints, heat resistant paints, insulmix paints, chemical resistant paints. Further, we also offer road marking paints, synthetic paints, acrylic sealants and under body coatings that find application in Automobile, Forging Companies, Household and Industrial Painting. Besides, we are the only company in India which offers heat resistant paints, that is capable of resisting temperature up to 12000C. All our endeavors are directed towards offering the world's best range of products at highly competitive prices. Thus, we are sole distributors of “Ugam Chemicals” & “Pragat Paint Industries”. They are equipped with latest cutting edge technologies as well as an experienced team of professionals, to develop quality range of Coatings, Paints and Emulsions. Further, our process is accredited with ISO 9001:2015 certification, which ensures that we offer our range that conforms to set industry standards. 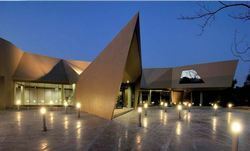 We have our branch offices are in Gurgaon (Haryana), coimbatore, Trivendram, Mumbai, Aurangabad, Sholapur and Jabbalpur (M.P). ensures on time delivery of consignments. With the assistance and support of our young energetic professionals and our excellent transport services, we have successful in meeting the demands of our clients in India and middle-east countries. We are guided by our Managing Director Mr. Nitin Shah, who holds over a decade of experience working in U.S.A., U.K., Germany and Gulf countries. Owing to his rich expertise in the research and development related to paints, resins and cultured marble products, we have provide impeccable quality paint solutions. Thus, over the years, we have emerged as a name to reckon with in the arena of paints and allied products and garnered clients like Mahindra and Mahindra Ltd., Bharat Forge Ltd. Tata Yazaki and Tata Toyo Radiators Ltd. We also provide specialised house keeping services for automobile paint shops. Our sister concern M/S. Swachha Services is leader in Deep cleaning services of equipment, system cleaning, structure cleaning on daily, weekly, monthly and annual basis. M/S. Mahindra Vehcle Manufacturing Ltd. and Toyota Kirloskar Ltd. are some of our esteemed clients. Being a prominent distributor and supplier, we have set-up a modern & capacious warehousing unit to store our range in bulk. The unit is equipped with all requisite facilities to protect the stored Thermal Insulation, Waterproof & Elastomeric Type of Coatings, Paints and Emulsions from fire, spillage and to ensure high shelf life. Thus, our in-house modern warehousing unit and our branch offices are based at Gurgaon (Haryana) and U.P. that helps us providing effective support to maintain on-schedule delivery of consignments. All our branch offices are electronically connected with our distribution networks that assist us in promptly meeting the specific needs of our clients with ease. LEADER PAINTS MARKETING, UGAM CHEMICALS, SWACHHA SERVICES and PRAGAT PAINT INDUSTRIES are sister concerns. UGAM CHEMICALS, LEADER PAINTS MARKETING and PRAGAT PAINT INDUSTRIES are specialist of Thermal insulation, waterproof and elastomeric type of coatings, and Acrylo Nitrile type of coatings, Fire retardant coatings, fireproof coatings, Waterproofing coatings, Chemical Resistant, Weather resistant, floor coatings, Synthetic Enamels and primers. We are the pioneers of these coatings and are unique coatings in India. UGAM CHEMICALS is I S O - 9001:2015 Company and registered under S. S. I.
Acrylic Sealant Waterproof Acrylic Sealant. LPG Bullets Coating LPG Bullets Coatings. Under Body Coatings Under Body Coatings. We consider all our employees, as the valuable assets of our organization. They enable us to streamline all our business activities and serve our clients in the best possible manner. With their diligent efforts and their dedication, we have been able to offer quality range of Thermal Insulation, Waterproof & Elastomeric Type of Coatings, Paints and Emulsions within the given time frame. All these employees have rich experience in respective domain of operation and remain abreast with the latest market requirements to meet the growing demands of our clients. 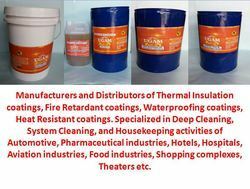 Application Of Ugam Insulmix HR Thermal Insulation Coating.